Contenedor con sistema muy cómodo higiénico de apertura mediante pedal. El contenedor es de polipropileno de color gris claro. Tiene una tapa ancha y segura, y un diseño especial para que no se atasque y no vea el interior. 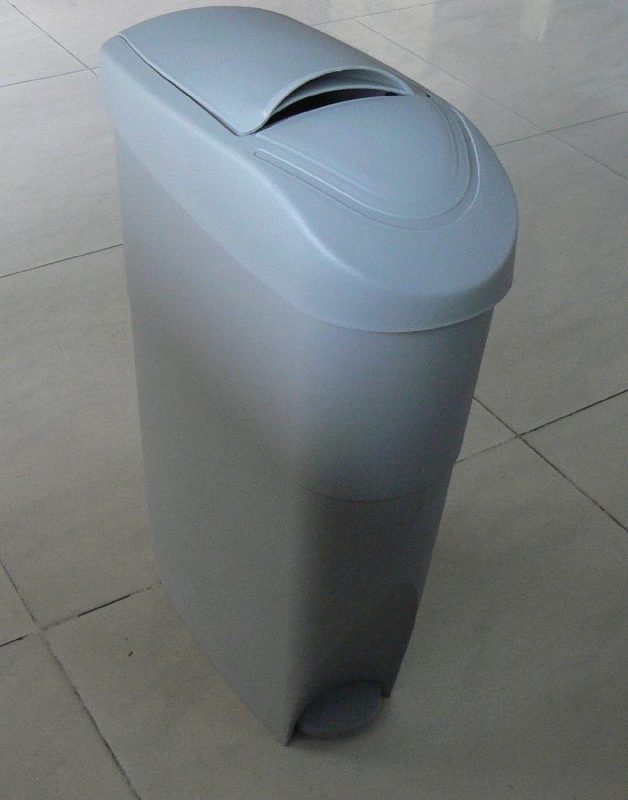 Sanitary Trash Bin WCS-370:18L, PP, White color or Gray color.size 36 x 18 x 57cm,6pcs/carton,carton size 73x54.8x60.5cm,10.5kgs/14.6kgs. 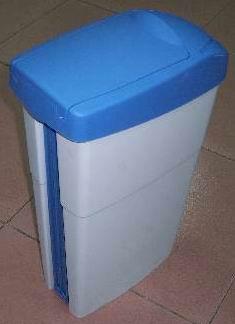 It is an original design for the disposal of feminine napkins and tampons. 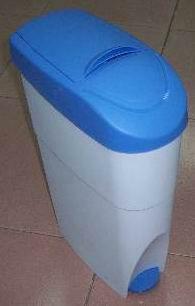 This device avoids physical contact between user and basin. • Hygiene, for these napkins or tampons won’t be thrown on toilets or floors. • Savings on professional plumbing services due to clogging.